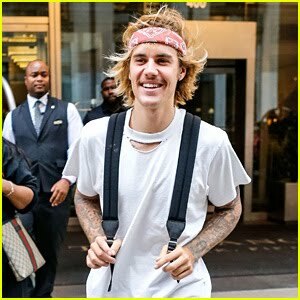 Justin Bieber was seen in a very happy mood as he was all smiles, walking out of his own hotel in New York today, September 7. The Sorry singer flashed a charming smile as he showed off his retro outfit that looks totally amazing on him. One day before (September 6), Justin was seen arriving with fiancee Hailey Baldwin to the John Elliott fashion show at Chelsea Piers. The newly engaged couple were seen running solo errands earlier in the day before the fashion show event.